This is the second anthology of essays about the lives and careers of distinguished architects who have practiced in the last 150 years by architectural historian and critic Martin Filler for The New York Review of Books (NYRB). The earlier collection, published by NYRB in 2007, established the form and purpose that Volume II follows. This book deals with a different set of makers, but included once again are Frank Lloyd Wright, Le Corbusier, and Renzo Piano. Filler deftly places his subjects in the aesthetic, theoretical, historic, and political life of their time, as well as in his. He pays attention to significant architectural events—the celebrated opening of a new and noteworthy building, a collection of new books with an architectural and urban theme, a well-staged exhibition of the work of emerging talents, the death of a master at the age of 105. Volume II opens with Charles McKim, William Mead, and Stanford White who practiced during the half century between the Civil War and World War I. 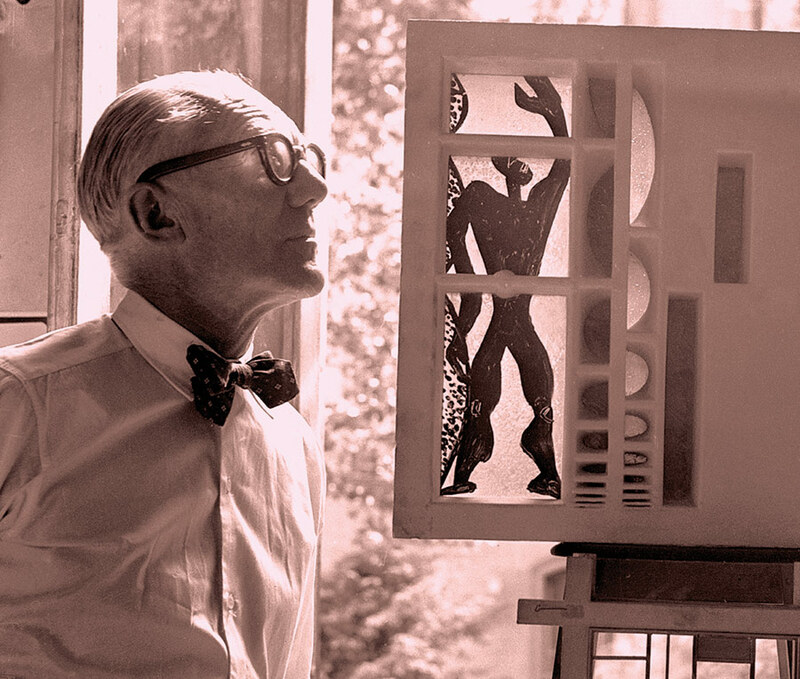 Among the others are Oscar Niemeyer, Edward Durrell Stone, Eero Saarinen, R. Buckminster Fuller, and Rem Koolhaas. 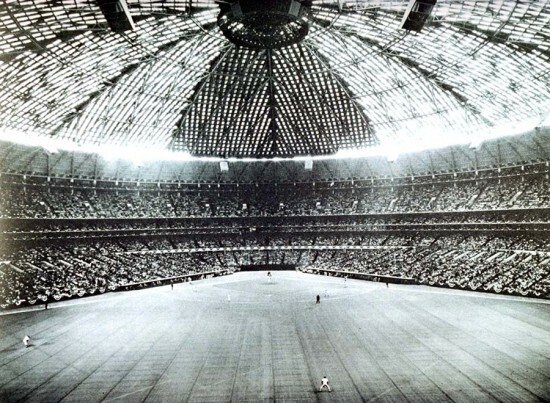 The last essays are devoted to architects relatively new to the scene. Kazuyo Sejima and Ryue Nishizawa are the principals of the Tokyo-based firm SANAA. 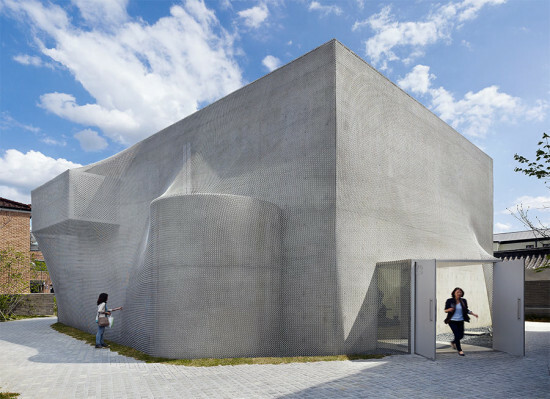 Sejima was a protégé of Toyo Ito, winner of the 2013 Pritzker Prize, and worked with him before she founded the partnership with Nishizawa who in addition has a separate practice of his own. They are best known in the United States for two exceptional museum commissions: the Glass Pavilion (2002–2006) at the Toledo Museum of Art in Ohio and the New Museum (2003–2007) on New York City’s Bowery. Given that they are pioneers in the new generation of Minimalists, Filler takes care to distinguish them from those gone before. 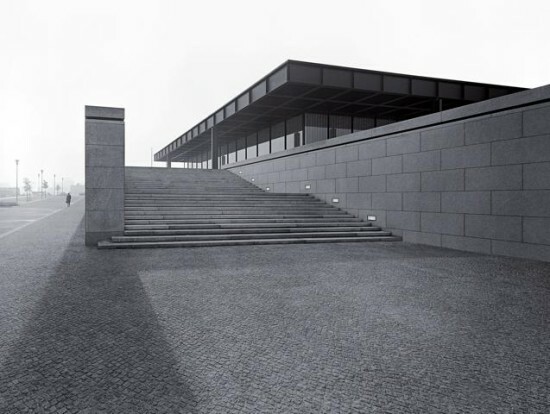 The Minimalist master Mies, early and late, whenever he could, built with costly materials, meticulously joined, finished, and detailed. He did so, Filler believes, to compensate for the restrictions of the style itself. The firm’s architectural and urban transformation of New York’s Lincoln Center for the Performing Arts (2003–2012) is extensively described and interpreted by Filler. Surprisingly he ends the Diller, Scofidio + Renfro essay by noting, “There was well-founded dismay among their admirers when in 2013 they accepted the Museum of Modern Art’s controversial commission to replace Tod Williams and Billie Tsien’s former American Folk Art Museum building (1987–2001) contrary to a long-standing ethical tradition among high-style architects not to abet the destruction of living colleagues’ work.” It makes a good story, yet the possible existence or effectiveness of such high-minded rectitude anywhere in today’s world of architecture will seem unlikely to readers of a book so revelatory as Filler’s about the hard-nosed realities of successful practice. When Israeli-American Michael Arad won the competition to design the National September 11 Memorial (2003–2011) at Ground Zero, he was an obscure 34-year-old working as an architect for neighborhood police stations in the design department of the New York City Housing Authority. The Memorial was completed when he was 42. Maya Lin was a leading and appropriate member of the jury that selected his preliminary design from a field of 5,201 entries. She herself was 21 and a student of architecture at Yale when she won the competition to design the Vietnam Veterans Memorial (1981–1982). It was completed when she was 23. 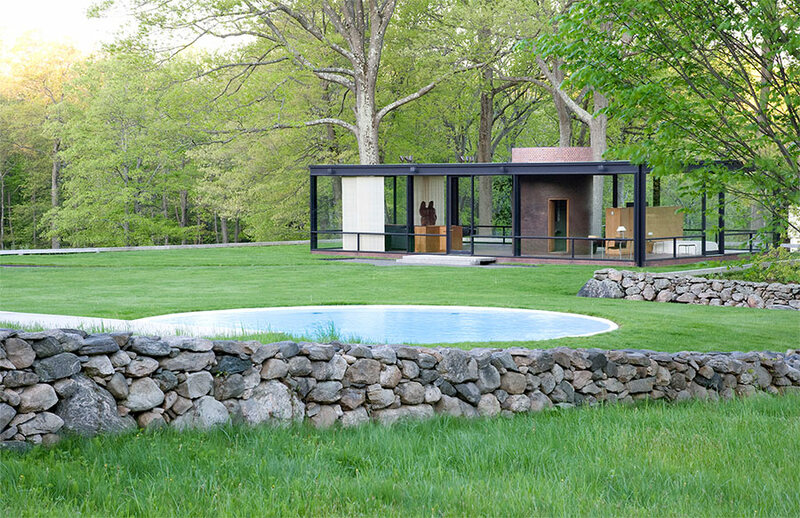 Channel the puckish spirit of Philip Johnson, for an afternoon at least: Director Henry Urbach invites you and three guests on a private tour of the Philip Johnson Glass House and its 49-acres of beautiful grounds. This National Trust Historic Site was created to be a catalyst for the preservation and interpretation of modern architecture, landscape, and art, and as you explore the house and grounds, Urbach will explain the place's history and evolution. Get a bird's eye-view of an important new building with architectural photographer Iwan Baan, who will take you on a private helicopter ride during one of his upcoming shoots, currently planned for Los Angeles, Paris, New York, or Chicago. Afterwards, join Baan for a private walk-through of the project being photographed; you're likely to be one of the very first visitors. Sometimes you need to leave New York City for a little while to remember why you love it so much. 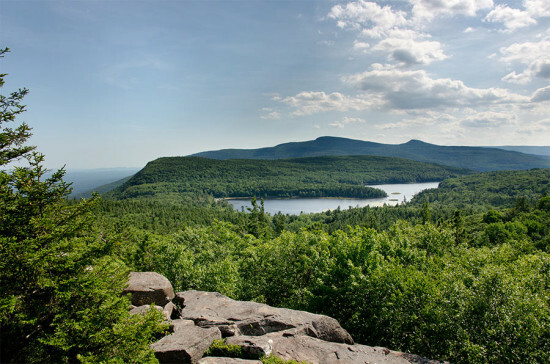 Escape city life for a day with architect Rafael de Cárdenas as he takes you to breakfast and then on a hike in New York's Hudson Valley. Discuss architecture and design with de Cárdenas as you explore this beautiful landscape; he may even take you to his favorite secret waterfall. What could be better than a motorcycle tour of Oregon Wine Country? Going on that tour with architect Brad Cloepfil, whose firm Allied Works is deeply influenced by the landscapes of the Pacific Northwest. 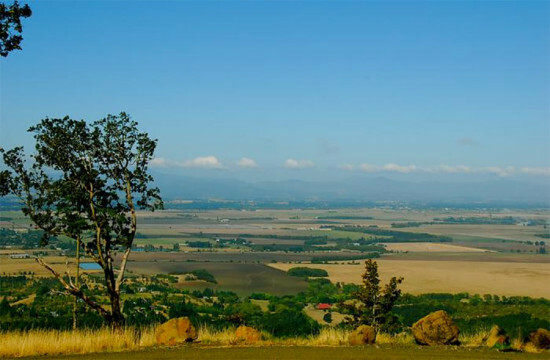 Together you'll sample the area’s finest Pinot Noirs at four distinct wineries, and go on a private tour and tasting at Sokol Blosser Winery's new tasting room, an elegant Allied Works building tucked away in the hills. What does the future look like for 300 Rwandan women? 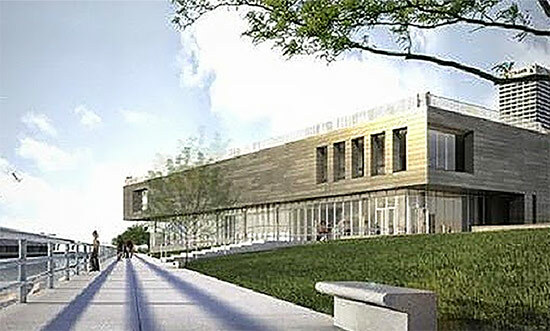 Full of potential, thanks to the Women's Opportunity Center, designed by architect Sharon Davis. Join her on a private tour of this extraordinary complex that is allowing women to grow their own food, raise their own animals, and use traditional African crafts to earn financial independence and rebuild their lives after war. 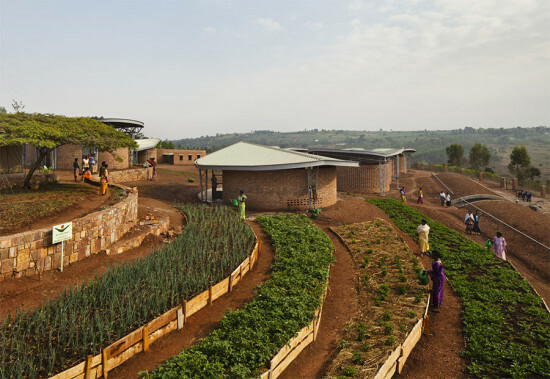 The series of clustered pavilions is organized in the same way as a traditional Rwandan village, and uses bricks made on site, retained earth walls, and cooling green roofs. Ever wonder how a design visionary chooses the objects and furniture that surround her? 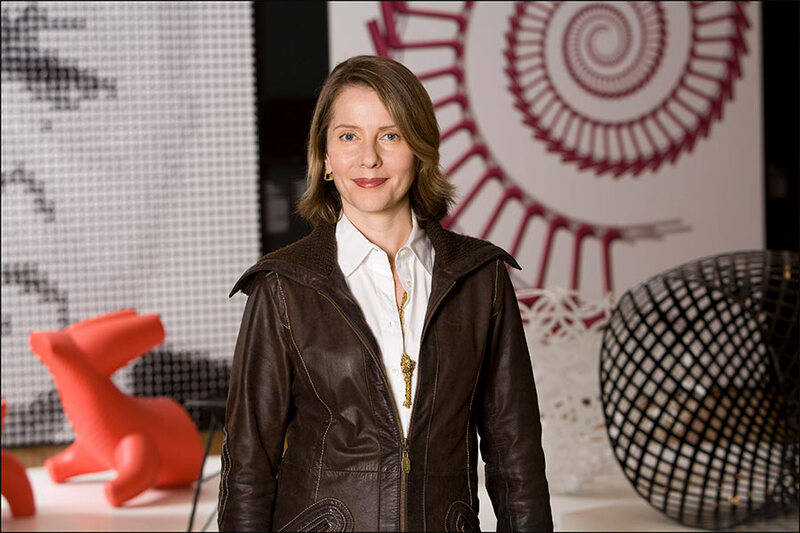 Find out when MoMA curator Paola Antonelli, who has developed some of the most compelling and trenchant exhibitions of design and its role in every aspect of our culture, invites you and three guests to her apartment for a home-cooked Milanese meal. Discuss everything from culinary traditions and the tools that have grown up around them to the issues and ideas on her radar right now. How does one of the defining minds of contemporary architecture like his cocktail? You'll find out after Richard Meier himself leads you and two friends on a private tour of the newly-opened Richard Meier Model Museum, where he displays a career-spanning collection of architectural models and an exhibition of his sketches, renderings, photographs, and sculptures. After the tour, the four of you will head to Meier's favorite bar for cocktails and conversation. 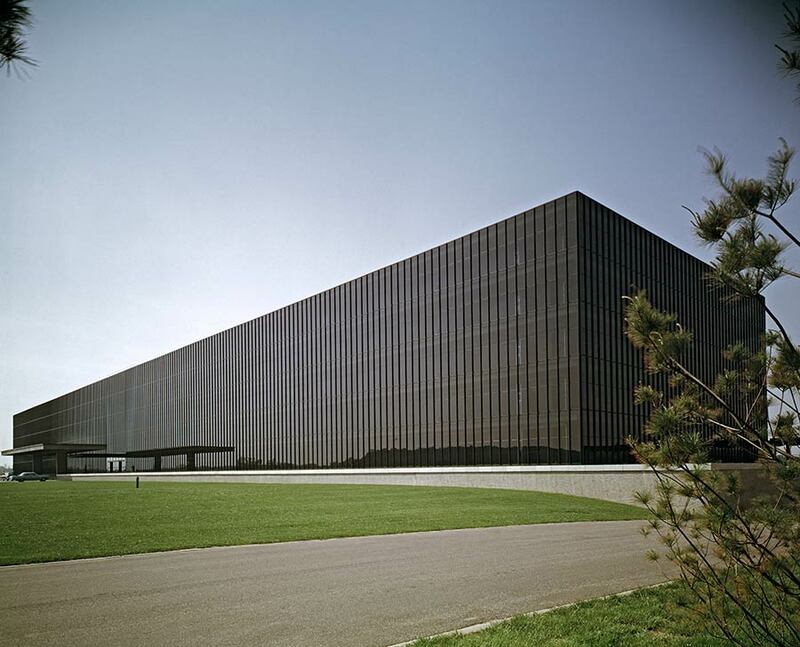 The Bell Labs complex in Holmdel, New Jersey, is revered by architects and research scientists alike: The Eero Saarinen-designed complex is famed for its mirrored curtain wall, innovative plan, and role as the site of Nobel Prize-winning research in laser cooling technology. Architect Alexander Gorlin takes you on a private tour of this mid-century hub of technological ingenuity that he is restoring and transforming into a mixed-use town center with housing, retail, and a wellness center for the surrounding community. Are you curious about the dynamic and burgeoning Korean art scene? Seoul's Kukje Gallery is at its very heart, and since its founding in 1982 has been one of Asia's leading exhibition centers. 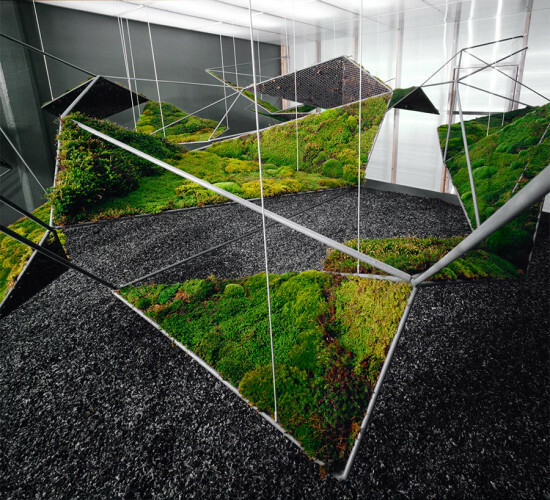 The newest gallery space there is K3, a pavilion designed by architects Florian Idenburg and Jing Liu of SO-IL. A Kukje director will give you and three guests a private tour of this striking new space, and afterward, enjoy dinner for four at the renowned Café at Kukje Gallery. Do you have an idea for amazing piece of furniture, or have a room that needs a custom piece? Take a trip to Freecell Architecture, a Brooklyn-based 3-D installation, design, and furniture studio, where they will work with you to take your rough idea and transform it into a buildable design. Whether that is a desk that folds into seating, a table with glowing electroluminescent surface, pneumatic seating with built-in-technology, or something as-yet undreamt, these skilled designers will create drawings for you that are elegant, precise, and entirely your own. Bid on the experience here. Having observed the absence of architecture and design materials from the American art collection scene, curator and scholar Christopher W. Mount decided to fill the gap himself. 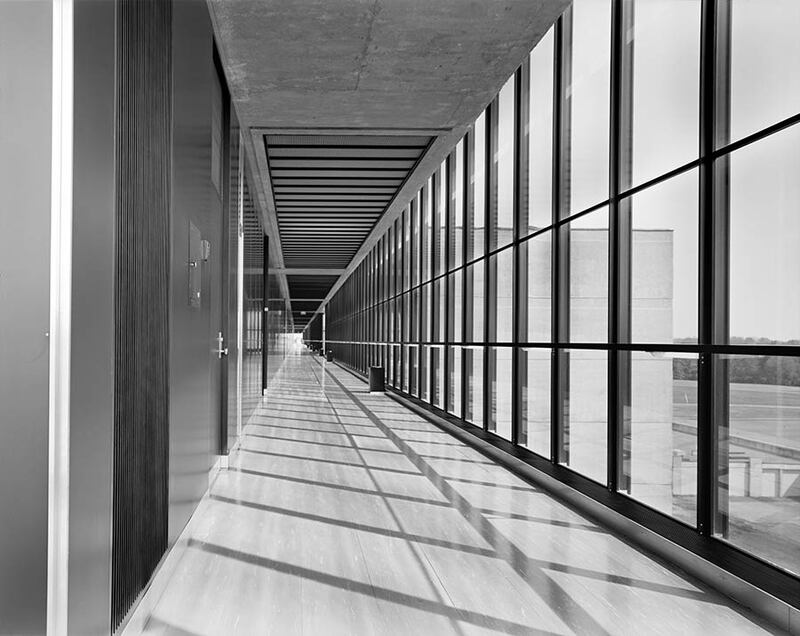 His eponymous Los Angeles gallery, housed in the Pacific Design Center, opens to the public on Friday, May 23 with A Modern Master: Photographs by Balthazar Korab. A second gallery, open by appointment, will be located on the Upper West Side in New York. “I really thought that this was the time,” said Mount. “I thought, ‘Here is a subject matter that major museums collect, and there hasn’t been somebody who opened a gallery.’” A former curator in the Department of Architecture and Design at MoMA, Mount more recently had a bumpy ride as guest curator of A New Sculpturalism: Contemporary Architecture from Southern California, part of the Getty Research Institute’s Pacific Standard Time series. He describes his new gallery as “a labor of love” and a natural extension of his museum work. “When people talk about what is it you really like to do, the answer [for me] is to find works, put them on the wall...and educate people on architecture and design. Get people to appreciate it as something that is equal in aesthetic pleasure and beauty to regular fine art,” said Mount. The works his gallery will display—including photography, drawings, and, possibly, architecture models—“is often towards another end, but is often beautiful in and of itself.” As for choosing LA as his headquarters, “I think part of the reason to be based in Los Angeles is...[that] the architecture profession is much less strictly commercial,” said Mount. “Certainly these people are wildly successful, but they tend to be more experimental.” At the same time, his work on A New Sculpturalism left Mount with a sense of how disconnected the New York architecture world is from what is happening in Los Angeles. “The idea is to promote this work, promote the designers and the architects, and hopefully we’ll promote it throughout the world,” he said. 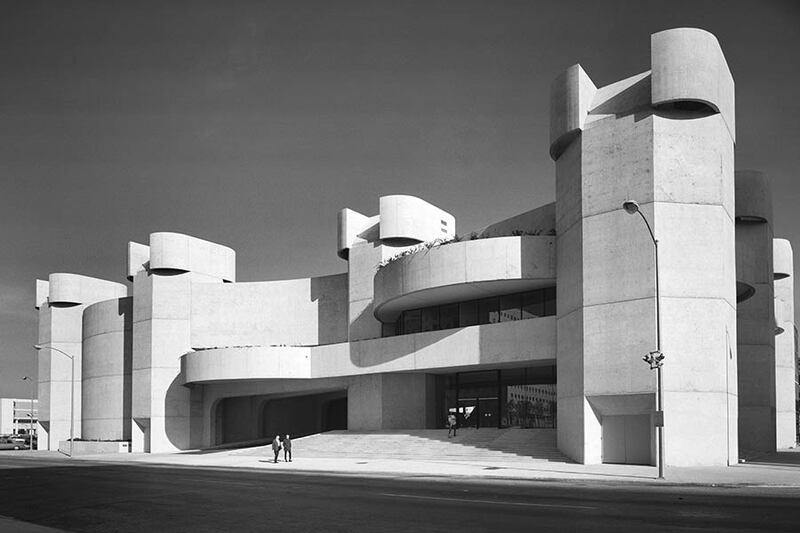 After the Korab show, which closes August 29, the Christopher W. Mount Gallery will exhibit photographs by architectural photographer Benny Chan. Mount also plans a show featuring drawings by prominent mid-century car designers, timed to coincide with the Los Angeles Auto Show in November. 300, 320, and 350 Park Avenue. 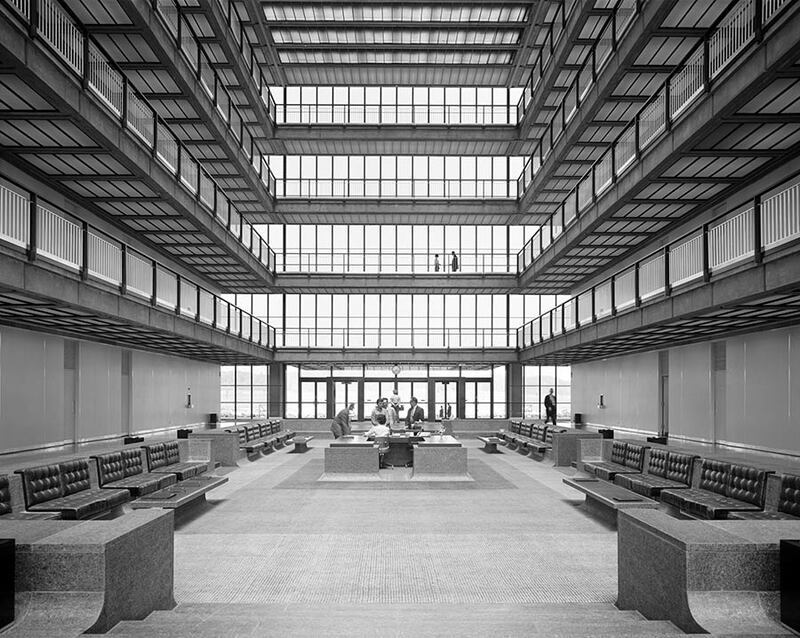 By the mid 20th century, modernism was expected to respond to the demands of the post-World War II world, resolving commercial and housing needs. 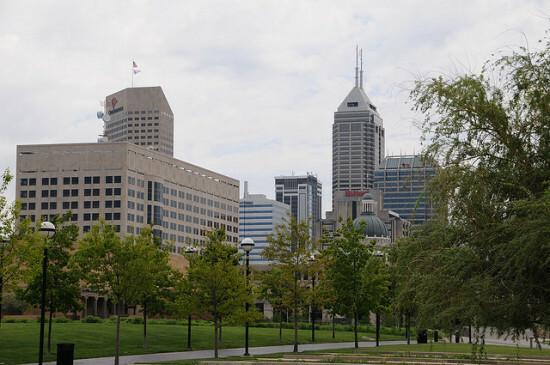 Instead, over time, it became synonymous with urban renewal and the loss of the historic urban fabric. Thus, from its earlier celebrated representation of transparency and newness, modernism eventually became berated as visually exhausting, and was ultimately followed by a postmodernist reactionary response. However, with over 50 years separating the present from mid-century modernism, the style is experiencing a renewed appreciation and reevaluation. As an architect leading a preservation practice in New York at WASA/Studio A, I have increasingly become involved in the conservation of 20th-century heritage, including investigation and design of repairs for buildings by Frank Lloyd Wright, Harrison & Abramovitz, Mies van der Rohe, I.M. 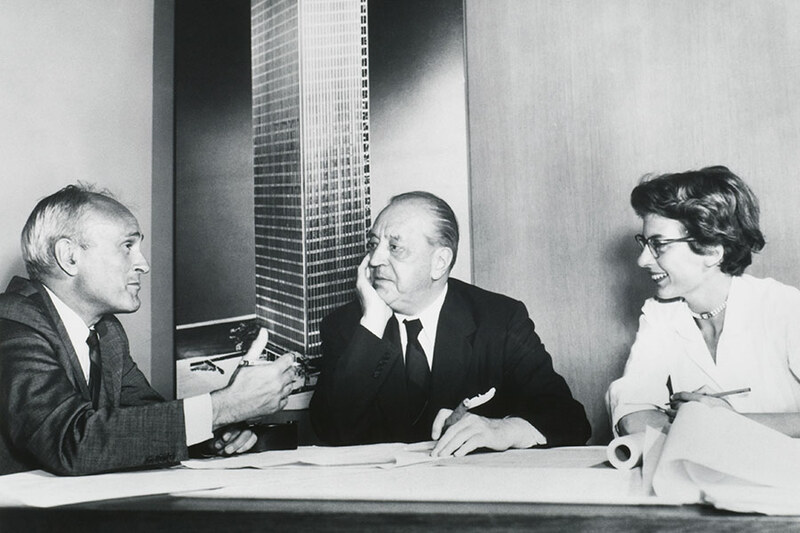 Pei, Emery Roth & Sons, and Eero Saarinen. What we have found is that the material most susceptible to change is the single-glazed curtain wall. Although Henry Russell-Hitchock and Philip Johnson coined the term “International Style” with the seminal eponymous exhibit and accompanying publication at the Museum of Modern Art in 1932, the “glass box” did not become ubiquitous in our cityscapes until the 1960s. 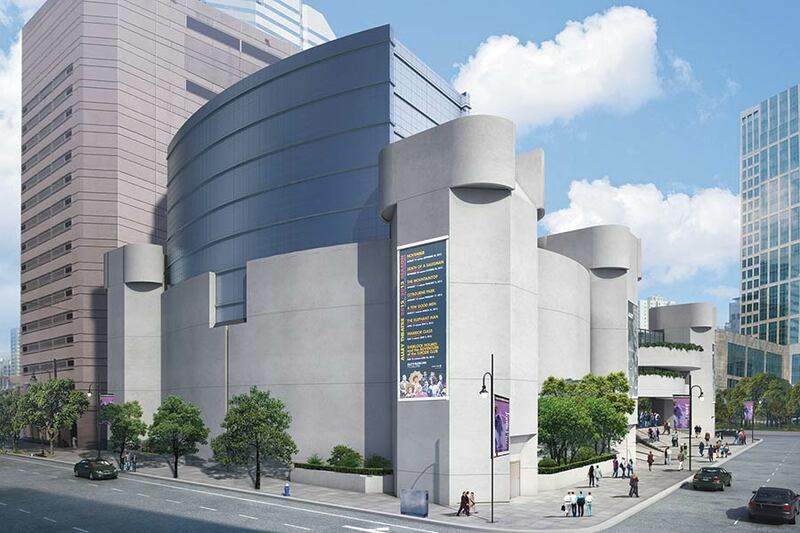 Perhaps the greatest concentrations of mid-century International Style in the world exists in Midtown East, recently spared by the New York City Council from a proposal to up-zone the neighborhood, which would have surely spelt the eventual demolition of these early glass boxes. 350 Park Avenue / Manufacturers Hanover Trust. The single-glazed curtain wall was cutting edge in the 1950s and early 1960s, but still very much experimental in nature. Frequent failures include lack of sufficient anchorage (based on compliance with inadequate wind-pressure design requirements per the 1938 NYC Building Code), and air and water leaks. 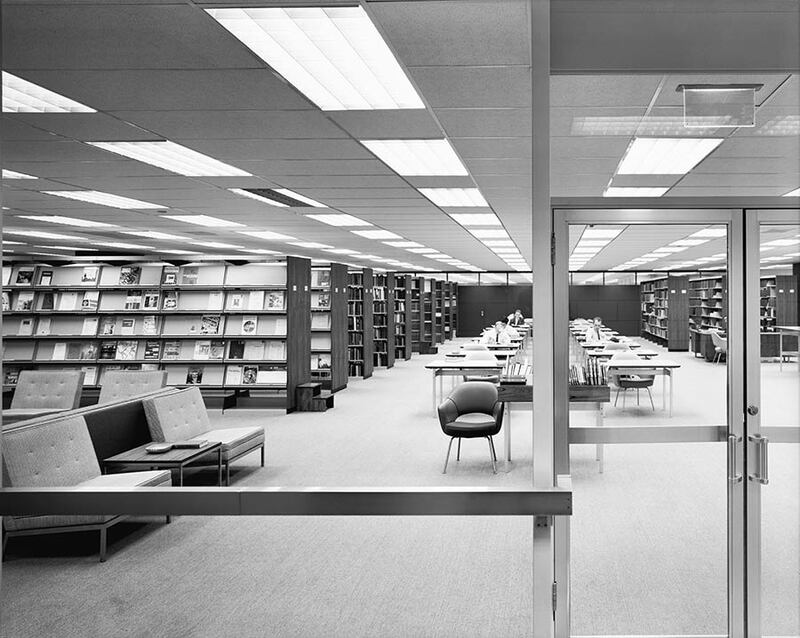 All too often the effort to upgrade thermal performance and resolve leaks has resulted in the complete alteration of the mid-century modernist aesthetic, which only recently has begun to capture the public’s appreciation through popular shows like Mad Men. Witness the case of a series of glass-box buildings along Park Avenue designed by Emery Roth & Sons, described below. The firm of Emery Roth & Sons produced many of the fine Beaux Arts and art deco apartment buildings so visible along Central Park West. However, by the 1950s and 60s, their prolific glass-box output had literally changed the image of Midtown and the Wall Street District. No matter what their place in the history of architecture—many decry the firm as copycat architects—they are responsible for over 60 buildings in Midtown alone, according to the 2004 results of a Docomomo survey of 200 mid-century modernist buildings in Midtown. 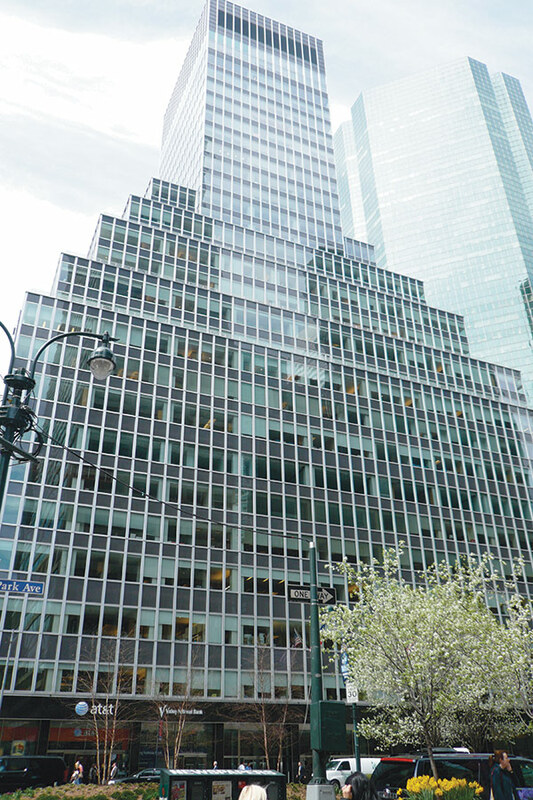 And as far as copycats are concerned, the Look Building at 488 Madison Avenue, a modernist design the firm completed in 1949 (albeit, not a glass box), predates the Lever House (1952) and Seagram Building (1958), as well as the UN Secretariat Building (1952). Another criticism has been that their glazed skyscrapers all look very similar. Yet, is anyone complaining that Mies van der Rohe spent years replicating his details—practice, after all, makes perfect, and “less is more”? Should we hold it against Emery Roth & Sons that their buildings from this period are instantly recognizable? Let me draw your attention to the Manufacturers Hanover Trust Building at 350 Park Avenue. Completed in 1954, the building, with its green reflective glass, compliments the Lever House, located on the adjacent block to the north. Unlike the Lever House, however, it emphasizes verticality with its exposed vertical muntins. The next two blocks to the south along the same side of Park Avenue are occupied by the Mutual of America Building (320 Park Avenue) and the Colgate Palmolive Building (300 Park Avenue). 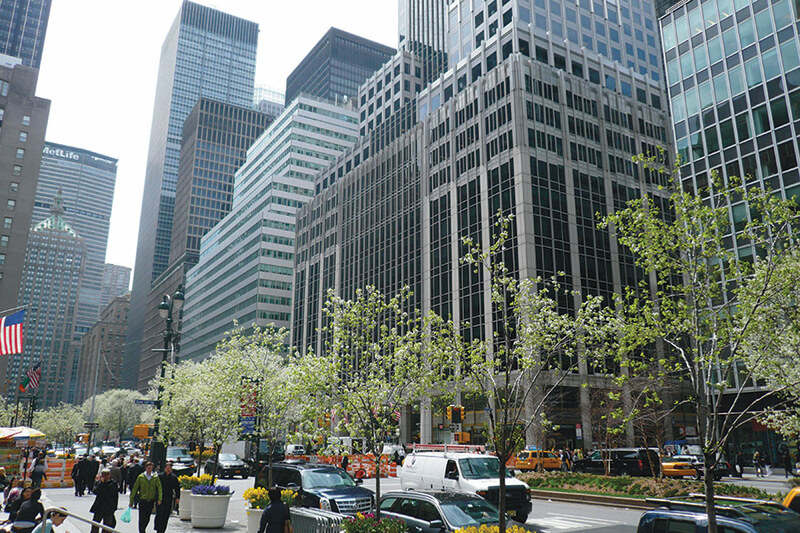 Emery Roth & Sons designed both buildings, the former executed in 1960 and the latter in 1956. These three buildings in a row have very similar massing, with stepped setbacks leading to a central tower. All three buildings were remarkably alike—glass boxes that express their verticality. The Colgate Palmolive Building could even be considered contextual in its respect for the Waldorf Astoria directly across the street, its cream colored spandrels an homage to the limestone art deco masterpiece. Along with the Bankers Trust Building (280 Park Avenue, 1962), and 400 and 410 Park Avenue (1958 and 1959), Emery Roth & Sons helped change the landscape of Park Avenue giving it a consistent appearance, condemned by Lewis Mumford at the time, yet praised by Ada Louise Huxtable. 300 Park Avenue / Colgate Palmolive. 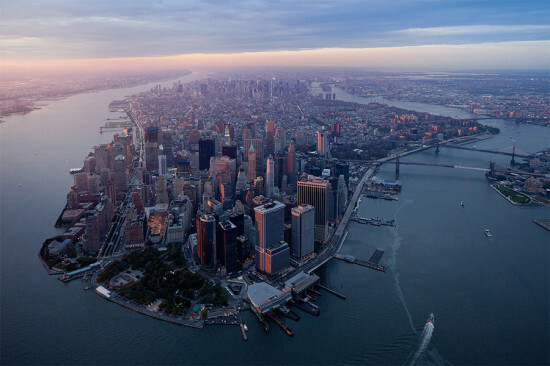 With the exception of the Lever House and the Seagram Building, none of these buildings are protected. In the name of energy efficiency and the desire for a contemporary look, two of them have been altered beyond recognition. In 1995, the Mutual of America Building was re-clad with a design by Swanke Hayden Connell that is a glazed version of postmodernism, roughly ten years after the style fell out of favor. 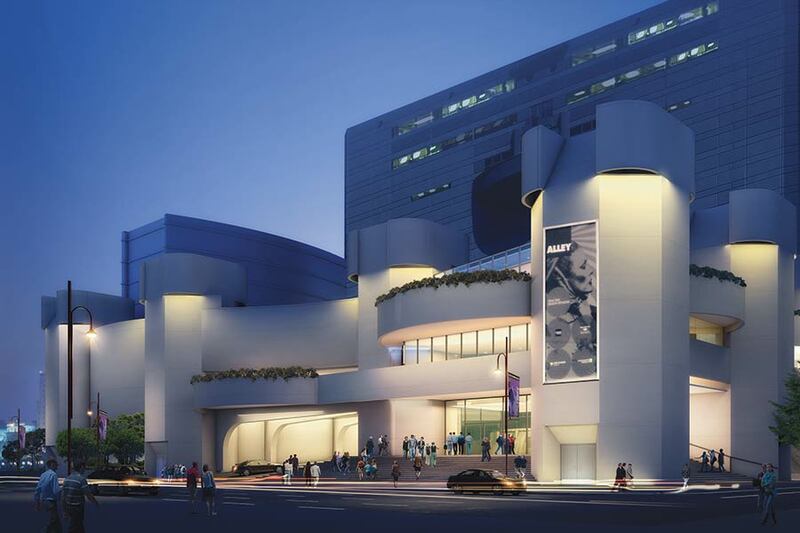 Although continuing to present a vertical expression, the building is so changed as to bear no resemblance to its original design. In the re-cladding of the Colgate Palmolive building, executed in 2000, an equally dramatic departure from the original aesthetic was achieved. The resulting facade has reversed Emery Roth & Sons’ intention. Horizontality has been emphasized with continuous opaque aluminum spandrels interrupted by strips of horizontal window wall. Why should we care about one or two less Emery Roth & Sons’ facades considering their relentless output during the same period? The issue becomes one of preservation theory. Is it time for the early glass box to be recognized for what it actually represents—not just a radical change in aesthetics from the historic masonry building, but also a moment in time when the future appeared to be full of innovation and optimism, manifested in the lightness, transparency, and openness of these structures? Does the experimental nature of these buildings, since proven prone to failure, mean that we should abandon our tried-and-true principles as preservationists? Preservation theory is guided by international and national doctrine, most notably the Venice Charter (1964), Secretary of Interior’s Standards (1977), Burra Charter (1979), Nara Document on Authenticity (1994), and the Recommendation on the Historic Urban Landscape (2011). Whereas the Venice Charter focused on the care by experts of monumental masonry structures in the European tradition, the Burra Charter systematized the use of a values-based approach to cultural heritage, wherein stakeholders are consulted to elicit significance, not just academics. This was followed by the Nara Document, which emphasized that authenticity is not automatically about saving original fabric, but should be viewed and interpreted differently by each culture in its context. Based on the Venice Charter, the Secretary of Interior’s Standards apply many of these considerations to the American reality. Although relatively recent, the Historic Urban Landscape document, adopted by UNESCO during the 36th session of their general conference, is extremely applicable to the case of Park Avenue. …the sensory perception of the urban system and its setting. A system of material components (urban layouts, plot systems, buildings, open spaces, trees and vegetation, urban furniture, etc.) and the relationship among them, which are the result of a process, conditioned by social, economical, political and cultural constraints over time. The [HUL] concept contributes to link tangible and intangible heritage components and to assess and understand the town or urban area as a process, rather than as an object. Even if we consider Emery Roth & Sons’ mid-century glass boxes as a vernacular backdrop, we must still acknowledge that these buildings embody the politics, events, and social changes that happened during the 20th century. Although not considered iconic, what are the limits of change that we should impose on Emery Roth & Sons’ buildings from this period? Should we be alarmed by potential alterations to their aesthetics, as their non-designated and aging glazed curtain walls come under scrutiny for upgrading? 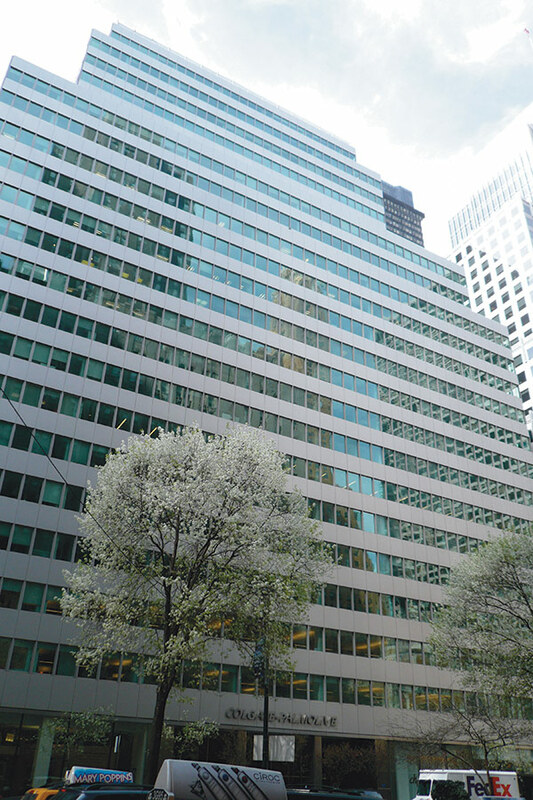 The 1995 restoration of the Lever House involved the dismantling and reconstruction of its failed single-glazed curtain wall; however, because of the jurisdiction of the NYC Landmarks Preservation Commission (LPC), its aesthetic was replicated, albeit in double-glazing. The adjacent buildings of Emery Roth & Sons have been afforded no such protection. While the NY Landmarks Conservancy and Municipal Arts Society, in response to the recent threat posed by the subsequently defeated East Midtown up-zoning proposal, have brought more than a dozen early masonry high-rise structures in the area to the attention of the LPC in the hopes that they will be individually designated, I would argue that we should also consider designating a historic district of the early examples of the International Style along Park Avenue and its vicinity. Only through this type of regulatory framework can we insure that these structures are properly evaluated for their cultural significance prior to proposals for re-cladding, sure to multiply in the near future as their leaky and energy-inefficient facades come under consideration for replacement. 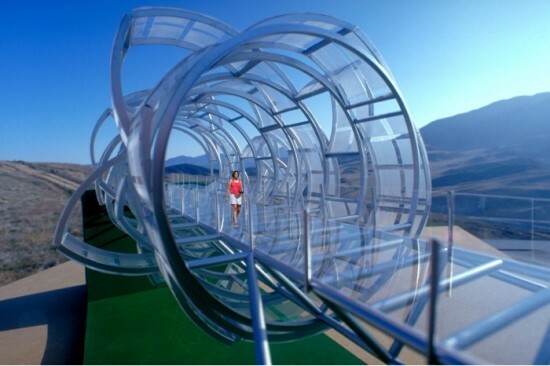 The whole purpose of the Arch was to generate tourism, which it did very successfully here, to say the least … A lot of architecture and art projects that are being built and have been built, their prime function is to get people to come to the city and look at them—not unlike the Arch. Jantzen, who moved to St. Louis from Carlyle, Illinois to attend Washington University, has a few ideas for public art that break the mold. 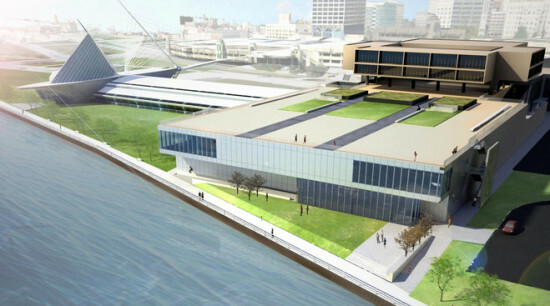 His projects include a glass and steel bridge that changes shape according to its users and a massive waterwheel meant to harvest the energy of the Mississippi River’s current. For several years, the fate of the Eero Saarinen–designed Bell Labs complex in Holmdel, New Jersey, remained uncertain. Now the mammoth modernist structure, once the breeding ground for pioneering technology of the 20th century, will be reborn as an expansive mixed-use town center. Developer Somerset Development has tapped Alexander Gorlin Architects to convert the 1.9 million-square-foot facility into a contained island of retail, dining, residential, hotel, performance, and office space—providing new amenities, from a town library to an outdoor sports complex, for the sprawling suburban community. 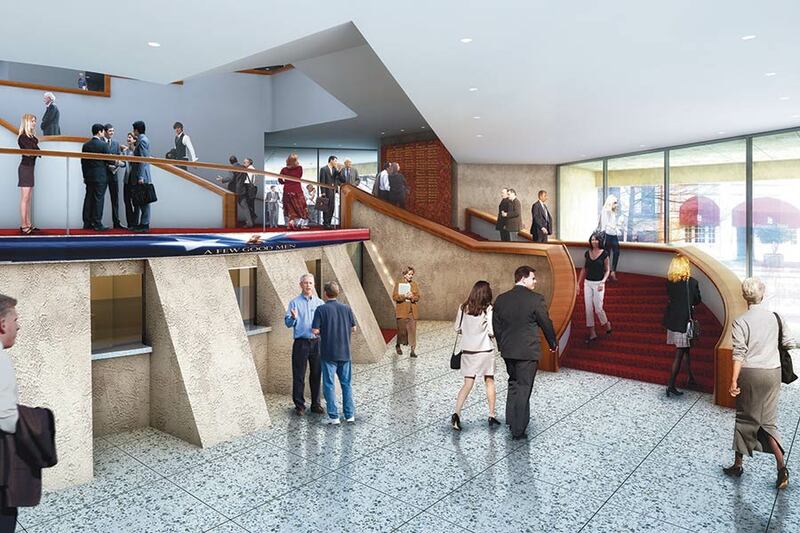 Two New Jersey–based firms, NK Architects and Joshua Zinder Architecture + Design, will also collaborate on the design of the interior tenant space. 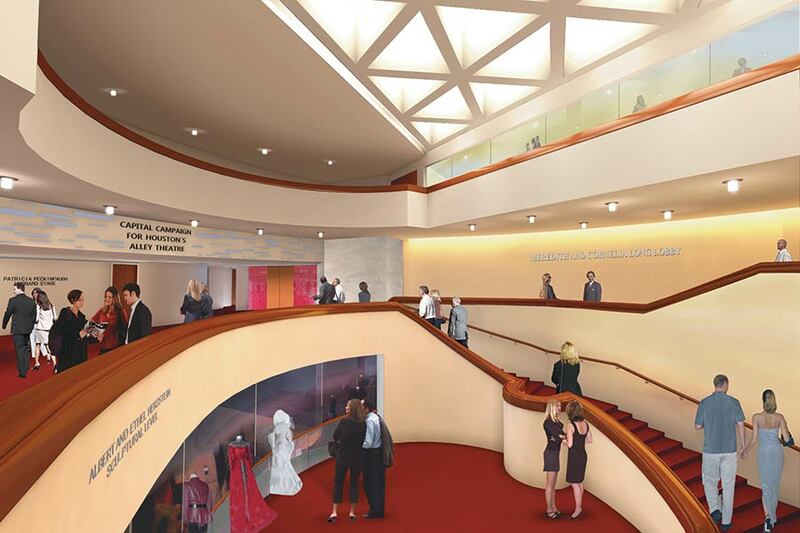 The colossal, quarter-mile-long atrium will be the cornerstone of the renovation. 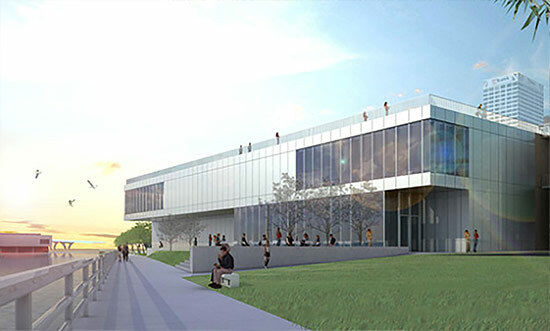 Gorlin imagines that this vast, open space will serve a similar function to that of the Armory, and host a variety of events such as large and small-scale performances, a farmer’s market, and pop-up shops. 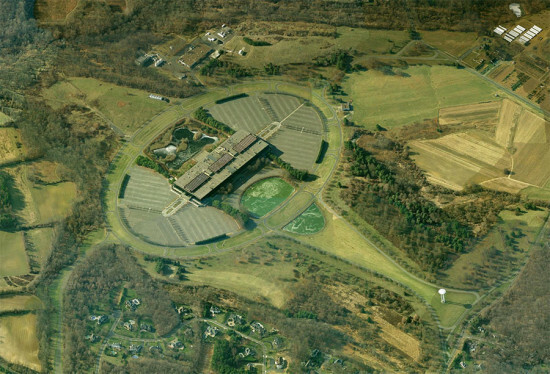 Only a month after purchasing the property from Alcatel-Lucent, Somerset has already begun work on its $100 million rehabilitation of the roughly 470-acre campus. Ralph Zucker, president of Somerset, said that they have started to clean up and restore the landscaping originally designed by Saarinen and Sasaki, Walker & Associates (SWA). 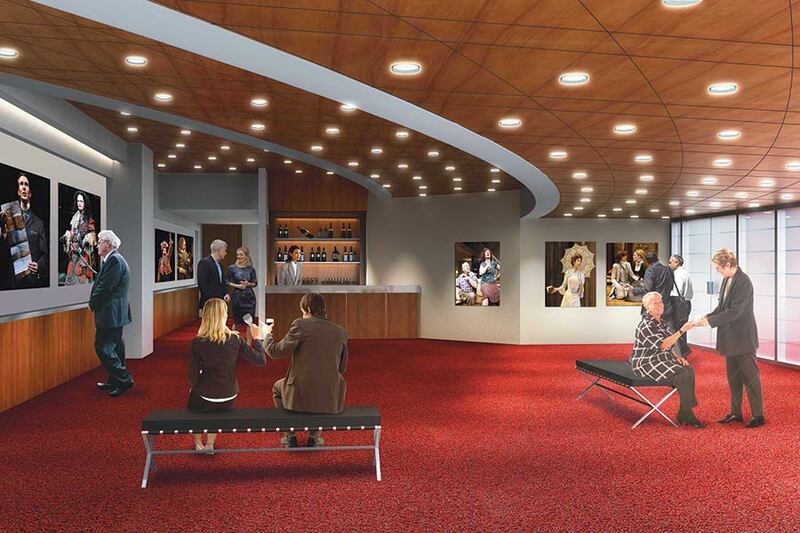 The renovation will first involve restoring the three entrances to the facility and putting together a final master plan. 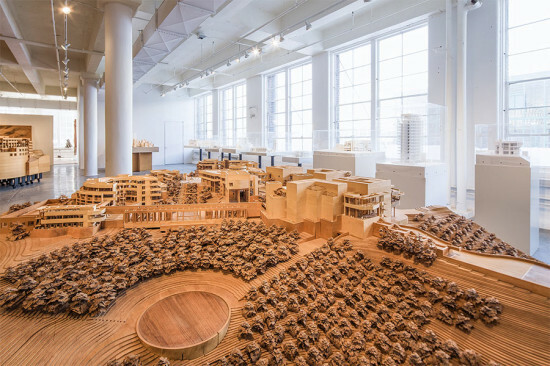 “On the other hand, the space at some level is quite enormous and monumental and at the same time it is all based on repetitive modules,” said Gorlin. Gorlin said another challenge is attempting to make a structure that is “completely sealed” more “energy efficient and sustainable.” Zucker anticipates that the master plan will be completed within the next few weeks. As the “town architect,” Gorlin will focus on “the life between the buildings,” whereas the future tenants will be able to bring in their own architects to oversee the interior design. So far the development has one tenant, Community Healthcare Associates, which plans to take over 400,000 square feet of the building. The developer envisions the complex will house a variety of tenants that meet the needs of the rather affluent surrounding community. “Everything has to mesh and come together: the clientele, the target market. There is room for many different levels,” said Zucker. The property to the rear of the building will become an outdoor sports center with basketball courts and soccer and lacrosse fields. Zucker also plans to carve out pedestrian and bike paths as well, however, he ensures that the front entrance and iconic landscaping will remain intact.